 The independent living situation in Albuquerque, NM is one of the best you will find anywhere. There are times when it feels like the whole city is covered in these communities. Independent living is a type of neighborhood or condo/apartment situation where residents are mostly on their own as far as cooking, cleaning, and home upkeep are concerned. One of the nice things about these communities is the friendly citizenry, and shared spaces. There are always events going on, and public calendars communicate their specifics. Depending on the community, there may be an option to buy, instead of rent, your place.